Just before Labor Day weekend, Southwest’s pilots announced that they had come to an agreement with management on a new contract. Though a full tentative agreement isn’t out yet, early indications are that management almost entirely caved here. After 4 years of negotiating, the big question is now… why would Southwest just give up on nearly everything it fought for? And how is it going to back itself out of the uncomfortable place it will now find itself? This deal is great for the pilots, based on what’s been released so far. To put it in perspective, let’s just look at a couple of comparisons to the tentative agreement agreed upon last year that was resoundingly rejected (more than 70 percent voted no). In that old agreement, the pilots were going to get a cumulative raise of 17.6 percent over 4 years. There was also a small ratification bonus in lieu of any retro pay. This new agreement provides a 15 percent increase right off the bat, and then 3 percent a year over the four-year life of the deal. There’s another 3 percent bump as the contract becomes amendable. Oh, and this one has full retro pay as well. But wait, there’s more. There will be changes to the retirement plans that will “align them with the industry standard practices.” If you were wondering, that’s an upgrade. Yep, this is a big win for the pilots. In fact, it’s not all that far off the pilots’ negotiating platform from way back in 2012. They wanted an 18 percent bump with 3 to 3.5 percent increases per year. We don’t know what this means for work rules yet, but it’s pretty hard to imagine this being anything but a very rich contract for them. This also gives Southwest pilots, as the union says, “a compensation package that is market rate compared to pilots at Delta, United, and American.” Low cost carrier, huh? Yes, I get that there are differences in productivity, but still, this is a big-time contract. And it’s not just the pilots. As is often the case, the mechanics facility maintenace and flight attendants each announced agreements shortly after the pilot deal was made public. Presumably the mechanics will be coming soon. We haven’t seen any details on those, but I’m going to assume that these will be rich as well. So after 4 long years of butting heads and eroding the trust that had been built up between management and the pilots since Southwest’s early days, management has given in. It’s as if CEO Gary Kelly ripped a page from the Jim Goodwin playbook. Goodwin, as you may remember, was the United CEO who fought the United pilots all through the horrendous summer of 2000 when those pilots slowed the airline down and created long-lasting damage to the business. Only after the summer did Goodwin decide to give in. This, for the record, is not a playbook I’d want to use. Southwest made a lame effort to act like the deadlock was all Randy Babbit’s fault. Randy was brought in to get contracts done, but just before this was announced, he “retired”. That let’s the remaining management team, led by CEO Gary Kelly, march in and act like saviors. Nobody is buying it. This is a damaged relationship. And since the damage is done, why would Southwest do this now? My first guess was the entry into service of the 737MAX next year. Management says that the MAX isn’t a new type so pilots would be able to fly it under the existing contract. The pilots disagree and say they needed a new agreement or they wouldn’t fly it. Who is right? Maybe Southwest didn’t like its chances, or maybe it just didn’t want to find out. I’m sure there could be other reasons, but this seems most likely on the surface. This still has to be turned into a tentative agreement and voted on, but I can’t imagine the pilot deal not passing. Same for the mechanics and flight attendants if their contracts are similarly rich. That means Southwest finds itself with a big problem. These contracts are going to push costs up a fair bit. Helane Becker with Cowen and Company estimates that the 15 percent raise alone would cost more than $250 million a year. Jamie Baker at JP Morgan expects additional total costs to be in the $500 million range annually for pilots. Once you add in the mechanics and flight attendants, he has additional costs pegged around $700 million a year. That’s a more than 10 percent increase in labor costs, and the airline is going to have to pay for it. Southwest has raised fares a ton in the last decade, and it might not have leverage to do much more than it has. Where should Southwest be looking? Ancillary revenue, of course. Bag fees, change fees, extra legroom seating, etc. You name it. Once the new Amadeus system is in place for reservations next year, Southwest CAN do all of these things. But the airline has spent so much time convincing people it won’t, it has now backed itself into a corner. Labor is happy with the new deal but still bitter at management. That’s an issue for management to try to resolve. And once this passes, management has to figure out a revenue strategy to help offset those higher costs. Gary and his team are going to be very busy trying to dig their way out of a hole they’ve dug for themselves. Updated to reflect that it was the facility maintenance folks that came to an agreement, not the aircraft mechanics. That’s still outstanding. Bob – Nick is right. Pilots can fly redeyes now, but the systems can’t handle it. Wait until the new reservations system is up and running next year. Ha! That’s a great pic, Cranky. AA/UA both have at least moderately recently signed pilot contracts so this probably won’t affect them in the short term, but I’ll be curious to see if it gives the DL pilots a boost. Southwest’s costs will jump considerably with all these new labor contracts. Add in that their growth is slowing and they can’t offset higher costs just by adding a bunch of new hire employees. Adding a bunch of ancillary fees will make Southwest even more like the legacy big 3 that it has repeatedly said it is not and could result in customer defections if pricing becomes similar but the big 3 can offer upgrades, first class, and a global package. LUV has time to let this all settle before third quarter earnings come out but I expect they will have some major special charges and guidance for higher future costs. This might help Delta pilots but indications are that Delta has been willing to give similar increases as Southwest gave but wants work rule and profit sharing changes. Given that DALPA leadership walked out of talks recently, it could be a long process to get a Delta pilot agreement. It is very clear that labor is benefitting handsomely from industry consolidation along with shareholders and mgmt. ….”will make Southwest even more like the legacy big 3….” ?? Southwest’s prices are already higher THAN THE BIG THREE. Check just about any market they fly. 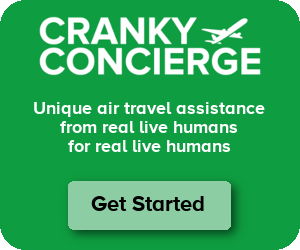 With the exception of a few “24 hour” special lower fares that are like playing musical chairs to get one, they are no longer a “low cost carrier”. It was just a matter of time (within the past 20 years) that they are just the same as AA, DL, UA, etc. Pilots – “if we dont show up the planes can still fly, if we don’t, they can’t” Grow up. It is similar to when I hear pilots asking for raises for making the planes run on time, but no repercussions when someone else schedules them too tightly. At some point, you have to recognize that you are a part of something larger than yourself. Everyone’s job is important and critical to the success of an airline. No Flight Attendants? No passenger service. No ground crew? who will fuel your plane, buddy? Dispatchers? Someone has to file a flight plan. Execs – despite what you may think, someone has to set the direction and ensure the company is a viable business. Lawyers? Someone has to defend the airline when your colleagues deny them boarding because of how they look. No one should forget the sacrifices pilots made during the lean years to keep airlines flying, and I am not saying this is a good or bad contract, I have no idea. I too wish for the return of a time when the job of pilot was respected and sought after. But I do think pilots sometimes don’t realize how they sound when they think they are the only ones who contribute to the success of a profitable airline (and likewise shirk all responsibility for a losing airline). Aviation is a challenging market for many of the reasons you state, but denigrating co-workers won’t solve it. dan – Bad news for you. The pilots at Southwest, Delta, American, and United will never be allowed to strike again. They’re so big now that the feds would step in and stop it. As for the pilot shortage, it’s going to be a long time before it impacts Southwest. The regionals should worry first. Yes and no. Whether they are allowed to strike comes down to the make up of the administration that is currently in place, and the appointments made to the NMB. It also presumes that it would be a full on strike; a weird aspect of the Railroad Labor Act and the NMB is that they actually allow “rolling strikes” or intermittent strikes” to occur. Again, it also presumes that there are “permanent replacements” to replace the pilots. It also presumes that there cannot be wildcat strikes, or mass sick out’s, which can fly under the radar IF there is no tacit coordination by the union. Not much leverage for SW with an industry wide shortage of pilots that will only get worse in years to come. In the Dallas area, the SWA mechanics are running radio ads criticizing the airline for record profits and executive pay while working toward outsourcing maintenance to foreign service centers, presumably in advance of their own negations. We’re suppose to write to Gary Kelly and let him know that we want to stay safe and keep jobs local. txjim – Just a tangential comment. I mistakenly read that the mechanics had a contract, but the press release I linked to in the article talks about facility maintenance folks getting a deal. I’ve updated it to reflect that the mechanics are still outstanding. I’d bet it comes sooner rather than later. I’d really like to think they didn’t pull a “Jim Parker” on Randy. Was he really the fall guy, or did he quit because he didn’t agree with the new direction of the negotiations? Would SWAPA really have turned down this agreement if it was coming from Randy? I doubt it. Joe – I don’t think SWAPA would have turned it down if it came from Randy. But the point is that Gary can point to Randy and act like he’s the bad guy who was holding this up. Now he has swooped in to be the white knight. Nobody believes that, of course. Weren’t the WN pilots already some of the highest paid in the US? Certain I read that a number of years back. Hey, great for them if they are but if labor costs keep rising like this it really makes me wonder how much longer WN will be able to keep their claim of being a “low cost airline.” I already very (extremely) rarely fly them because they are more expensive than DL. The only positive for WN is that I don’t have to worry about getting crammed into a regional jet. Otherwise they just don’t complete with having status on Delta unless they are charging less for that ticket. Highest, but never highest compensated. Why not do this? It is clear that ALPA and other independent pilot unions are going for the jugular in recent contract negotiations, and there is no reason to NOT do that, in an industry where pattern bargaining has so much leverage. The reality is that considering the density of pilot unions, the scarcity of pilots, and the breakdown of the regional system, that pilots are probably in the best place possible to extract gains from management. And it is unlikely considering the pattern nature of bargaining amongst pilots, that there will be any real ability of anyone to undercut them. Where would they get the pilots to do so? It must be so hard to run an airline when fuel and labor, your 2 highest costs, are hardest to control and can swing +15% in a year (or more for fuel!). Everyone wants profit sharing in the good years, and higher fixed pay in the bad years. There was a good cranky story about this awhile back (http://crankyflier.com/2014/12/02/profit-sharing-why-american-doesnt-like-it-why-it-should-have-done-it-anyway-and-why-it-cant-do-it-now/). Unions were shortchanged for years, but I do fear that these grand raises may hurt the industry and drive prices higher and investment in products and technology lower. A stronger company with consistent costs and investment ability is key to making an industry with consistently healthy pay, good culture, and happy customers. Equitable pay comes from repeatedly trusting both sides, and neither side has demonstrated much love over the years. Cost of living increase equals a grand raise? Sean – My question is more about why do it now than why do it at all. The industry situation isn’t all that much different than it was a year ago. So there has to be something pushing the company to act now. – i recall in the early 2000s how the new CEO, parker, did not want to give into the FA’s contract demands. the FAs then started a campaign of that took personal overtones against parker. Herb stepped in and gave in to the FAs demands; so gary had a similar experience (giving in for labor peace), though as the CFO. Parker resigned, either as part of it or nearly after that as best i recall, and Gary became the CEO. – i recall that Goodwin gave in because he wanted the pilots onboard in the proposed the USAir purchase; the other airlines went haywire as their pilots probably wanted a similar contract. Then, 9/11 happened. again as best i recall. – Perhaps Randy played the role of Parker and “dug his heels” in negotiations and gary to be the “savior” as Herb did back then. i assume that Gary does not have the same affinity capital to move heal the “damaged relationship”. – CF – as for higher costs…do you think the 737MAX may be used to access longer range mixed personal/biz markets (i.e. colombia) thus increasing ASM. sorry about the length of my comments. -Goodwin did indeed want pilot support, but he endured an entire summer of slowed down operations before giving in. There was lasting damage to the airline after that. When I went to work at United in 2004, we still saw underperformance compared to American in Chicago that went right back to that fateful summer. -I think you’re right. Randy was made to be the bad guy. But when Herb swooped in, he was Herb. He had the ability to win trust again. I don’t think Gary does. -As for the MAX, it should definitely go on longer haul routes. I have no doubt. excuse my grammar y’all. if something does not make sense i’ll clarify. That’s true. However, that means that labor has to make as much money when it can, to balance out the times when companies will go bankrupt to avoid paying. The days of guaranteed employment and pensions after a lifetime of work are long gone. Therefore people have to maximise income as and when they can. At the moment you’d wonder how anyone could justify becoming a pilot, given wages and conditions, compared to the costs of becoming certified. It’s obvious that many pilots do it because they love flying. That’s great for the airlines and travelling public if there’s enough pilots wanting to do the job for the love of it. However, once demand increases over the supply of people willing to overlook ecomomics because they love flying, hard economics comes into play. It’s either pay more, or do without pilots at that point. Why do it now was a question that was asked….well they better lock in the labor now before the market shifts further toward the pilots favor. Already WN is having pilots no show for interviews and no show in class on the first day. They are getting hired else places and like what they see at other airlines. It’s not always about the pay. Get hired at Delta, AA or UAL and you have many airframes and more choices in bases along with a different QOL than the typical WN pilot enjoys. The upgrade at WN is going to be a longer time for new hires at WN compared to legacies and the retirement at other airlines is better. You must pay the WN pilot more to overcome the options available at other airlines…the market has shifted and pilots have all the leverage going forward. It’s actually a win for management, though most may not see it yet. They get to lock in labor for a few more years and now they can hope it’s enough to attract the pilots to replace the ones leaving. Pilot raises will be paid for largely from the relaxation of Scope restrictions in the new CBA, which heretofore have prevented SWA from establishing any sort of code share or joining in any alliance. The company’s CFO estimates the easing of those restrictions is worth several hundred million/year. The rest, and raises among other employee groups, will be paid for by easing off on the ridiculous share buyback programs SWA has initiated in recent years. In short, Southwest won’t be crying poor-mouth because they’ll be fine. Wall St. will start pushing for bag fees but I think they won’t go that route at this time, most likely they will try other forms of ancillary revenue sources and test the reaction of their customer base. will. they’ve already “asked” (read pushed) on quarterly conf. calls and Gary has said no. WN is a fantastic company to work for…if you have a contract. Employees not covered under collective bargaining agreements are typically hosed. The money to pay for contracts has to come from somewhere, so solid programs like sick time and vacation time are radically changed for non-contract employees in order to save money. Established pay scales are reworked and salaries reduced. Headcount is eliminated or goes unfilled, and the remaining salaried workforce is required to work unpaid overtime and holidays to make up for bare-bones staffing. Managers are usually clueless, and there’s a culture in that middle-management layer of insulating senior leadership against “bad news” so critical issues don’t get fixed. Traditionally non-contract workgroups are voting to join unions in order to protect themselves. In short…Southwest is just another airline.